Growth and demand for sheet metal products and equipment in key industries is bigger than ever and now covers Automotive, Electronics, Electricity, Construction, Interior & Furniture, Medical Devices and the Agriculture Industry. The cost of doing business has also risen considerably, with higher production costs coming from upstream production. As a result, products must provide better value, especially items that require precision accuracy and top quality. Higher prices must be held in check in order for companies to stay competitive. 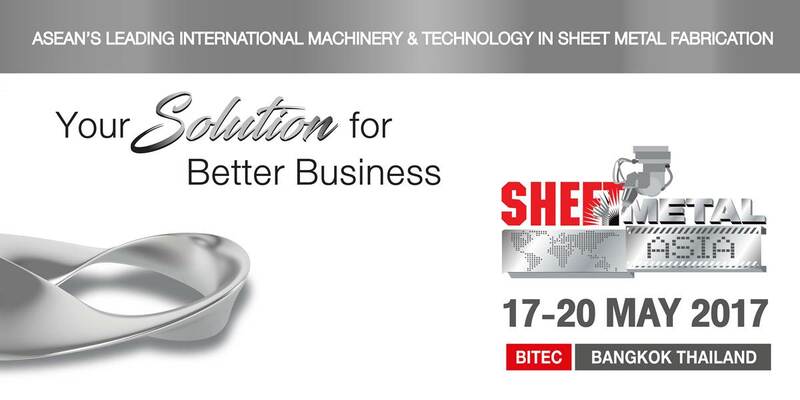 SHEET METAL ASIA 2017 - ASEAN’s Leading International Machinery & Technology Exhibition in Sheet Metal Fabrication, will provide a unique business opportunity for machinery makers to showcase advanced technologies and equipment, including fiber laser machines, CO2 lasers, press brake, punching machines, water jet technology and more. Over 300 metal-working brands from 20 countries are set to exhibit at this major regional event. And more than 150 new technologies and innovations in Sheet Metal fabrication will be seen for the first time in Thailand and ASEAN. SHEET METAL ASIA has the best and largest collection of fiber-laser cutting machinery in Thailand which is now considered a ‘must-attend’ event for fiber-laser cutting machine makers. Each year billions of Baht in business transactions take place during and after the show. So if you’re in the business of sheet metal fabrication, machinery or equipment, you absolutely can’t afford to miss this outstanding opportunity. 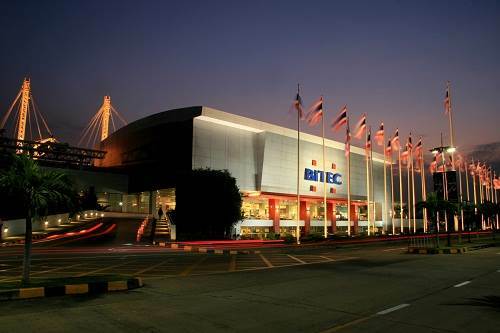 SHEET METAL ASIA 2017 will be held in Bangkok, Thailand from 17- 20 May 2017 at BITEC. It’s the ‘must-attend’ event you can’t afford to miss!